I took a walk through a different area of town this week. It's not that I'm not on these streets—I am all the time. But I'm usually driving, not walking. And this walk reminded me of how much we miss when the only view we have is from our car. 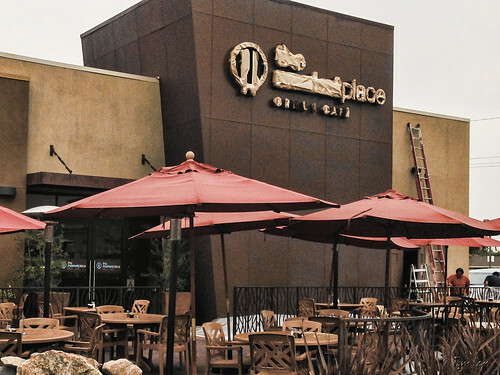 First, it looks like the Marketplace Grill is getting an updated paint job. Have you ever taped your windows in preparation for painting? Imagine instead that you have to cover up all the letters in "the Marketplace Grill & Cafe." Tedious! 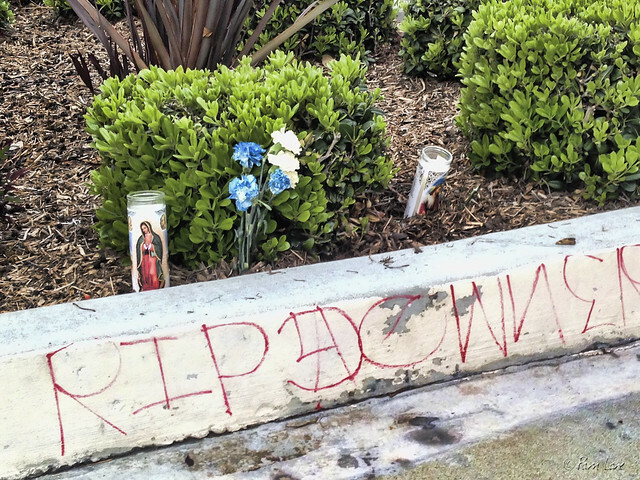 Further down the street, I came across this sidewalk memorial. There was no discernible clue as to who died or what happened. But someone cared enough to create this little shrine. 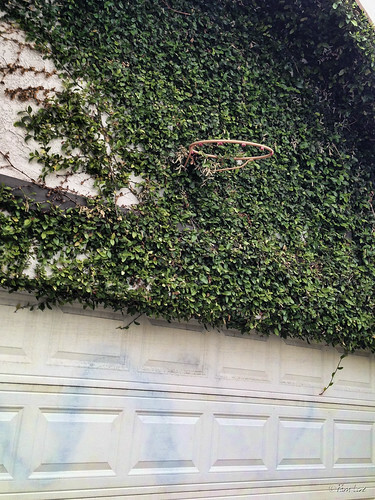 And finally, in one of the nearby alleys, there was this evidence of basketball games long ago, before the ivy nearly covered up the hoop. I'm glad I took the time to explore on foot!